All unexercised options and restricted share units will also be acquired under the Arrangement. The proposed transaction values Norsat at an equity value of approximately $62 million USD. As previously disclosed by Norsat on March 17, 2017, Privet Fund Management LLP (“Privet”) submitted a non-binding letter of interest to acquire the Company for cash consideration of $10.25 USD per share subject to due diligence, financing, the completion of a definitive agreement and other conditions. At that time, Norsat and Hytera were in exclusivity with respect to a possible transaction. “After discussions with multiple parties and a comprehensive review of several indications of interest with respect to a strategic transaction, we are very pleased to have reached an agreement with Hytera. We believe this all-cash transaction offers Norsat shareholders immediate liquidity and certainty of value. We thank our shareholders for their patience and support during the strategic review, a process that has ultimately surfaced significant value for all Norsat shareholders,” said Fabio Doninelli, Director and Chairman of the Board. 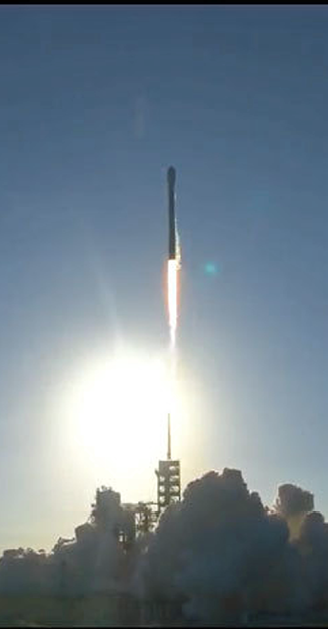 The SES-10 satellite launched into space on-board SpaceX Falcon 9 rocket from NASA’s Kennedy Space Center, Florida, to provide broadcasting, enterprise and mobility services across Latin America. With a Ku-band payload of 55.36 MHz transponder equivalents, of which 27 are incremental, this multi-mission spacecraft is the first SES satellite that is wholly dedicated to providing service to Latin America. SES-10’s high-powered beams will augment SES’s capabilities across the region providing direct-to-home broadcasting, enterprise and mobility services. SES-10 will replace capacity currently provided by other SES satellites at 67 degrees West, as well as bring additional capacity to Mexico, Central America, South America and the Caribbean. SES’s (Euronext Paris:SESG) (LuxX:SESG) SES-10 was built by Airbus Defence and Space and is based on the Eurostar E3000 platform. The satellite will use an electric plasma propulsion system for on-orbit maneuvers and a chemical system for initial orbit raising and some on-orbit maneuvering. Without fuel, no one goes anywhere — well, this is not exactly true for satellites, as they do move, eventually, into the atmosphere of Earth, where they are cremated as they descend into the planet’s atmosphere. Such is now the future of NASA’s EO-1 (Earth Observing-1) satellite after 17 years of faithful service. Launched in November of 2000 as part of NASA’s New Millennium Program, the satellite captured images of Earth and was also a new technologies testing platform. 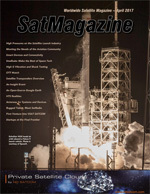 A first for the satellite was also the spacecraft’s ability to control itself, so to speak, through the incorporation of autonomous software that allowed for less human intervention and also enabled EO-1 to trail behind the LandSat 7 satellite by about 60 seconds, communicating with one another to target various natural phenomena that ranged from fires, floods, volcanoes and more. The performance by EO-1 opened the door for even better autonomous satellite piloting technology that was implemented in later satellites. Frank Culbertson, the President of Orbital ATK’s Space Systems Group, the company that built this satellite, stated that the company is proud to mark this historic occasion with NASA partners and and celebrates the EO-1’s incredible 17 year journey. Serving as one of NASA’s pathfinder Earth satellites, EO-1 delivered thousands of high quality images providing valuable data for the science community. 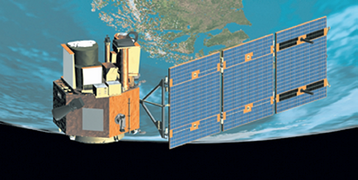 EO-1, using two major observing instruments, Advanced Land Imager (ALI) and the Hyperion imaging spectrometer, has provided more than 92,000 images to date consisting of equal amounts of multispectral and hyperspectral imagery. These instruments allowed the EO-1 team to acquire high spatial resolution of events and natural disasters around the world. The Hyperion instrument also allowed scientists to see chemical constituents of Earth’s surface in fine detail with hundreds of wavelengths. Hiltron Communications has added to their product family with a new offering that is based on their HMAM three-axis motorized antenna mount — the new Super-HMM is designed and built to accept substantially larger reflector dishes. The Super-HMAM includes high-grade drives for azimuth and elevation plus a high-accuracy polarization drive and is fully compatible with Hiltron’s standard HACU antenna positioning system. A combined head and drive are incorporated, forming a three axis motorized system with 180 degrees of azimuth adjustment, 90 degrees of elevation adjustment range and fully adjustable polarization. Positioning accuracy is +/- 0.02 degrees and position-display resolution is 0.01 degrees. The antenna control unit and associated motor-control electronics are contained in an IP65-rated weatherproof outdoor housing with a hinged front access port secured by dual key screws. An emergency cut-off switch is easily accessible. Above the housing is a resolver which is used to measure the azimuth angle of the antenna. An identical second resolver allows constant monitoring of antenna elevation. Azimuth and elevation drive motors each operate through a reduction gear. Super-HMAM can be controlled via an IP link from a PC running a graphic user interface compatible with standard web browsers. The control GUI displays all the information required to set and maintain azimuth, elevation and polarization, including current position and target position plus a database of potentially accessible satellites. Once a satellite is selected, precise access parameters can be calculated at the press of a single button. The entire antenna support system is built to withstand standard atmospheric pollutants and to operate at humidity levels of zero to 95 per cent over a temperature range between 25 degrees (optionally 55 degrees) down to -25 degrees Celsius. Additional protection can optionally be provided to withstand pollutants such as salt encountered in coastal and industrial areas. 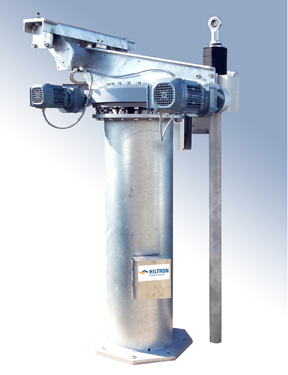 The rotating pedestal mount is made of corrosion-resistant hot-dip galvanized steel. According to Hiltron sales director Antonio Monteverde, the standard HMAM is extremely robust and designed to operate with reflectors of 1.2 to 2.7 meters diameter on mountain-top transmission sites where wind speeds can exceed 200 kilometers per hour during storm conditions. Super-HMAM has a newly developed support structure which can survive wind speeds well in excess of this figure, with antenna sizes of up to 4.9 meters diameter. Super-HMAM retains all the features that have made HMAM the preferred choice for two-way VSAT communication or receive only downlink applications in the broadcast, telecommunication and military sectors. 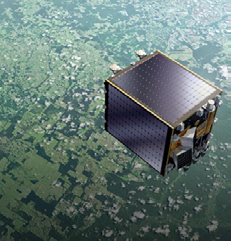 RBC Signals is a multi-national company enabling an improved commercial-focused model for the delivery and processing of real-time data from satellites in LEO—the company capitalizes on the innovation behind the sharing economy, using the excess capacity of existing ground stations across the globe to provide affordable, low latency services to the emerging class of new space commercial satellite operators. The company has now successfully raised $1.5 million in a seed round. The VC-led round was made possible with participation from investors around the world including the United States, Singapore, the Middle East and China and will allow the company to expand its global network, coverage and capabilities. RBC Signals’ business is driven by macro data-consumption trends requiring higher bandwidth, higher resolution, and on-demand immediacy. RBC Signals’ services are aimed to meet the requirements of today’s commercial satellite operators, which have shifted along with these dynamics. To do so, the company leverages the infrastructure and excess capacity of existing ground stations located strategically across the globe to provide real-time data delivery as well as data processing capabilities with a core focus on providing low latency, cost effective services to the emerging class of new space commercial satellite operators. The recently completed capital raise will expand the coverage and the real-time data processing capabilities of the worldwide RBC Signals ground station network. 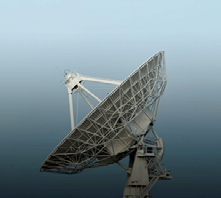 RBC’s global network currently includes 30+ antennas in 20+ strategic locations. Christopher Richins, co-founder and CEO of RBC Signal, stated that his company is the first and only provider in their market sector that uses a shared economy model to leverage existing ground station infrastructure to deliver and process real-time data. The other co-founder, Olga Gershenzon, also the CSO of the company added that demand for real-time data from space is growing—increasingly reliable and affordable launch services, along with the affordability of small Earth-imaging satellites, is driving the increased need for efficient and cost-effective real-time data delivery and processing services. RBC Signals is looking to fill this gap in the LEO marketplace. A multi-national company, RBC Signals is led by space industry veterans Richins, Gershenzon and Rani Hellerman. Richins began his career as an RF Communications Engineer at Sea Launch, where he supported multiple satellite launch campaigns from the ship-based equatorial launch site. After business school, he completed an internship with SpaceX before joining Bain & Company as a management consultant. Post Bain, Richins held management roles at Arkyd Astronautics (Planetary Resources), Space Angels Network, Expedia, and Applause. Richins earned an MBA from the Darden Graduate School of Business at the University of Virginia as a Jefferson Fellow, a master’s degree in Astronautics from the University of Southern California, and a bachelor’s degree in Electrical Engineering from Brigham Young University. Gershenzon has more than 25 years of practical experience in remote sensing applications including land cover change, disaster monitoring and mitigation, wildlife preservation, and education. She co-founded, co-owned and is a Member of the Board of Directors for R&D Center SCANEX, the leading Russian company in the satellite remote sensing market, offering a complete set of services ranging from acquisition to thematic processing of Earth observation images from space. 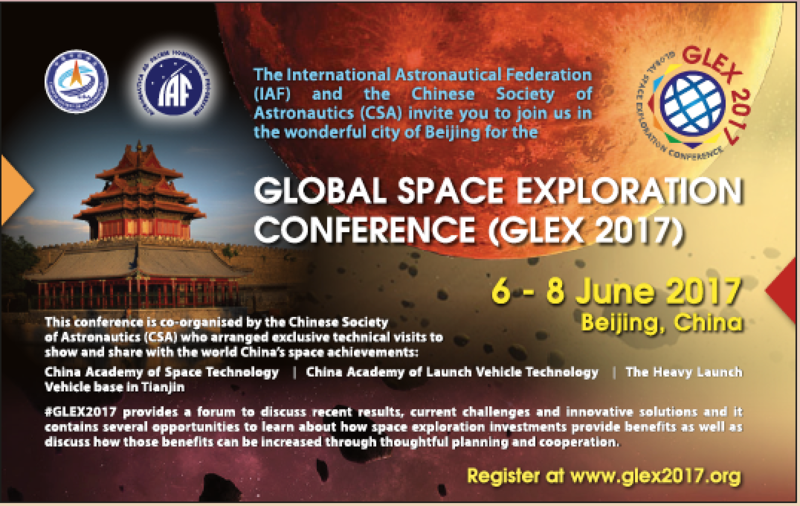 She is also Co-Founder of the NGO “Transparent World”, a non-profit organization providing non-commercial and educational projects with remote sensing data, and is Chair of the Board of “Earth from Space,” an association of suppliers and users of Earth remote sensing data. She holds a master’s degree in Meteorological Engineering from the Department of Geography at Lomonosov Moscow State University. Rani Hellerman is RBC Signals’ vice president of International Business. Prior to joining RBC, Hellerman worked at ImageSat International N.V for more than 15 years in technical and business positions and as a vice president of Business Development. Prior to joining ImageSat, Hellerman held a long career in Israel’s Defense Forces, reaching the rank of Colonel. Hellerman has vast experience in the areas of advanced technology and operational requirements, including more than 25 years in Earth Observation business. Hellerman holds a BSc. degree in Electronics Engineering and master’s degree in Business Administration (MBA).